High Peaks Pure Earth presents the English translation of a new poem by writer and poet Tashi Rabten, aka Theurang. 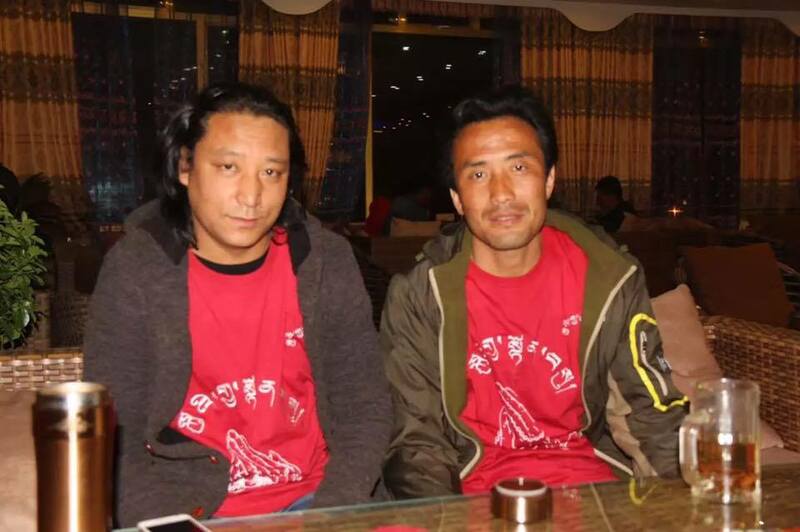 Tashi Rabten can be seen to the left of the photo above, along with fellow writer Kalsang Tsultrim aka Gyitsang Takmik. The photo has been circulating on social media and attracting attention as their T-shirts say “Greetings to His Holiness on his 80th birthday”. 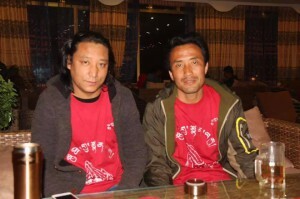 Both Tashi Rabten and Kalsang Tsultrim have been imprisoned (and subsequently released) in the past for their writings. The new poem, “Today, I Wish to Offer Three Prostrations towards Lhasa” first appeared on social media around 19 March 2015 and the English translation has been kindly provided by exile Tibetan poet Bhuchung D. Sonam. 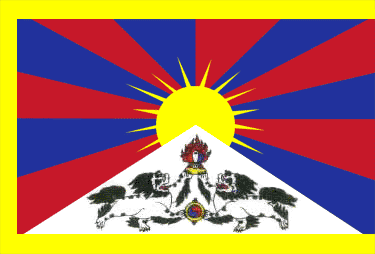 “Today, I Wish to Offer Three Prostrations towards Lhasa” was read at the event Banned Expression in Tibet in London’s Kings Place on 20 June 2015. In short that is who I am. This proves that we are of the same blood. Can’t people of same blood be in touch with each other? But I think the spies have very good information on it. I have feelings that I cannot accommodate inside me. I have responded to them honestly. I alone am the owner of these thoughts. Yet someone who respects freedom will never say ‘YES’. Do I get punished for my answers? If not, let me go. I want to get out and offer three prostrations towards Lhasa.